While smartwatches aren't exactly lighting the world on fire as many manufacturers had hoped, it is still a fairly respectable segment. Let's face it, as the smartphone and tablet markets reach full saturation in the USA, companies will turn to things like wearables to hopefully make up for it. Huawei is one such company that is focusing on smartwatches, but it is also expanding into Windows PCs too. The manufacturer focuses on a wise combination of value and elegance, producing desirable products at affordable prices. 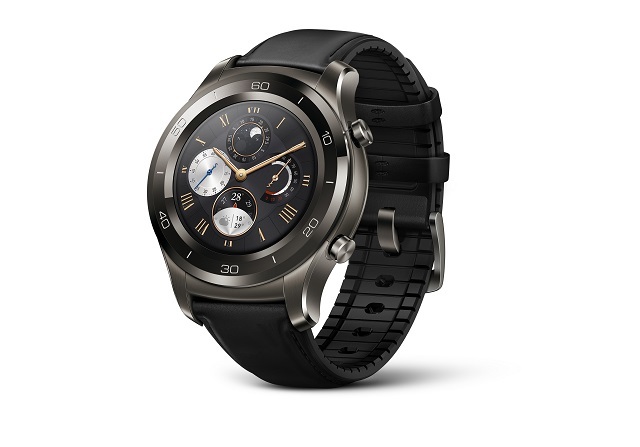 Today, Huawei announces that its Watch 2 Classic Android Wear smartwatch is finally available in the USA. The device has a 390x390 AMOLED screen and can play locally-stored music from Google Play. It of course has GPS, Bluetooth, and Wi-Fi. Since the watch runs Android Wear 2.0, it is compatible with both iPhone and Android phones. In comparison, Apple Watch will only work with iOS -- user's of Google's mobile phone OS are out of luck. This means that the consumer can change phone types while keeping the same smartwatch, and that is cool. The Watch 2 Classic features a respectable 420mAh battery, which Huawei claims will last two days with "regular" use. Of course, regular use is subjective, making the claim a bit questionable. With that said, you can make it last much longer with most of the features turned off. For example, if you only use it as a watch and pedometer, Huawei says it can last up to three weeks! Luckily, if the battery does die, you can charge it to 100 percent in about an hour thanks to the included fast-charging technology. Swimmers will appreciate the IP68 rating, meaning you can submerge it in about five feet of water for up to 30 minutes. 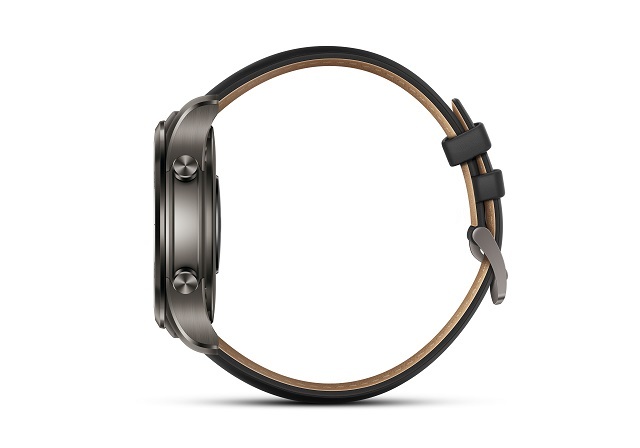 The leather and rubber hybrid band is sweat resistant too, meaning it shouldn't get smelly or lead to itching. You can literally wear it to the gym in the morning and then wear it into the office later in the day. It is designed to balance form and function. So, how much does the Huawei Watch 2 Classic cost? It can be had starting today for $370 from popular retailers like Kohl's, Amazon, and Best Buy to name a few. True, it is not the least expensive Android Wear device, but it is one of the most attractive. If you have wanted a smartwatch but were dissatisfied with the nerdy uninspired designs, Huawei's latest may just wow you at a fair price.